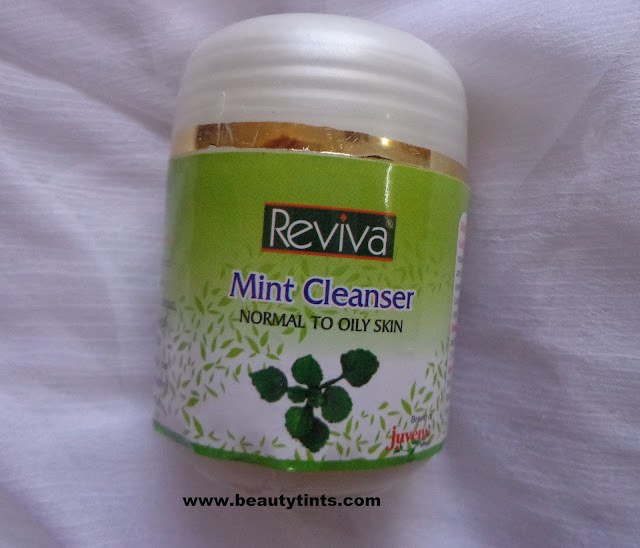 Sriz Beauty Blog: Juvena Herbals Reviva Mint Cleanser Review!!! 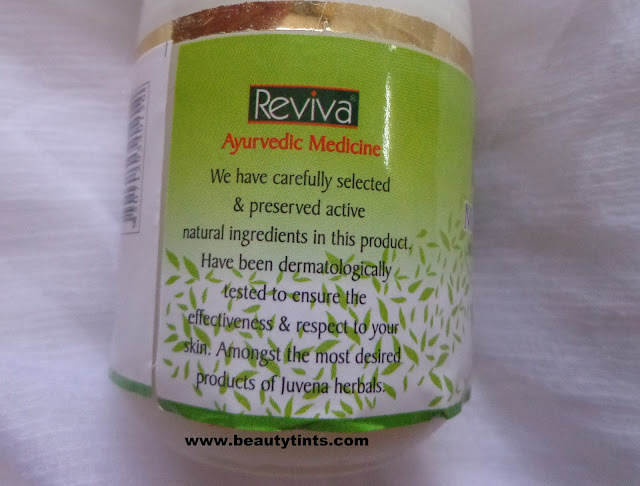 Today I am reviewing one more wonderful product from Juvena Herbals,which is their Reviva Mint Cleanser.This is meant for Normal to Oily Skin.This cleanses the skin very well and removes the oil ,dirt and all the grime off the skin very effectively.This is one of my favorite cleansers and I have been using it regularly these days. Packaging : It comes in a cute tub packaging with a screw cap. 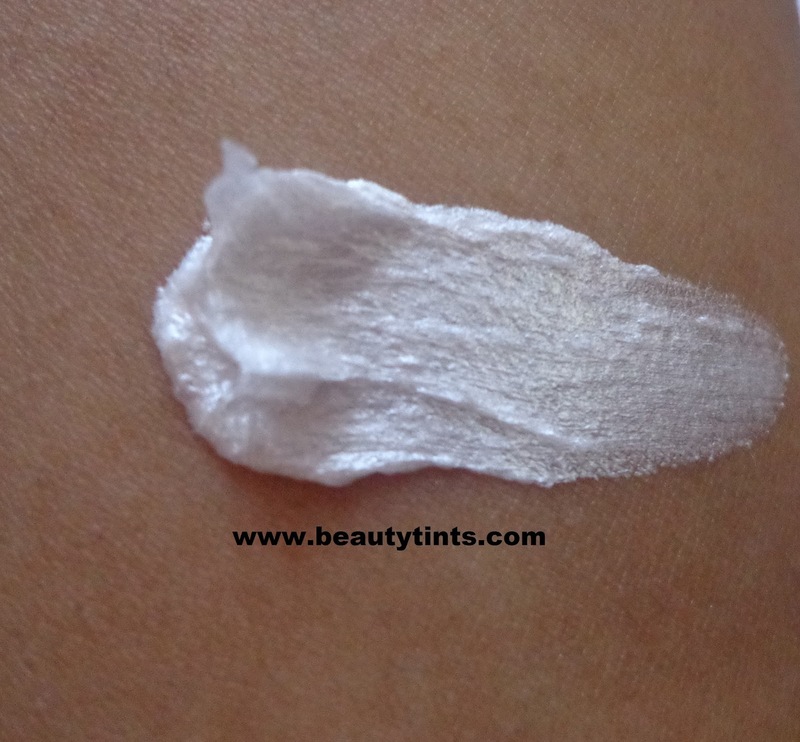 Color and Texture : This is a white colored soft cleanser. How it Works : Enhances blood circulation , removes excess oil from oily skin without moisture loss, gives exfoliating effect , closes open pores , lightens spots , stops occurrence of black heads/white heads. Regular use prevents re-occurrence of acne. Ingredients : Thymol, Mint, Dates, Papaya, tulsi, clove and eucalyptus. 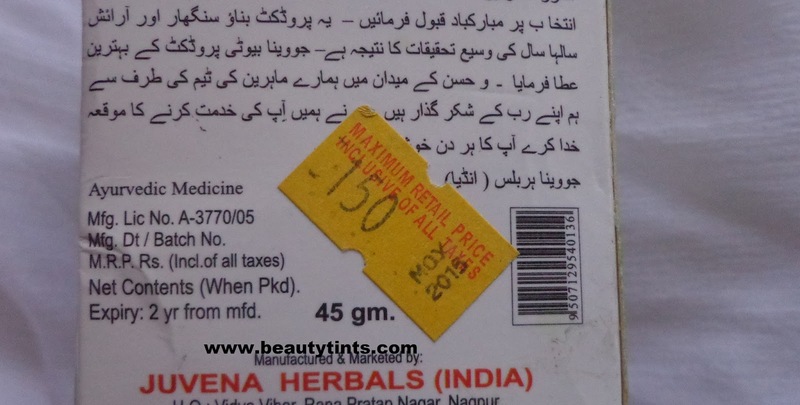 Usage : Apply dots all over the face and neck. 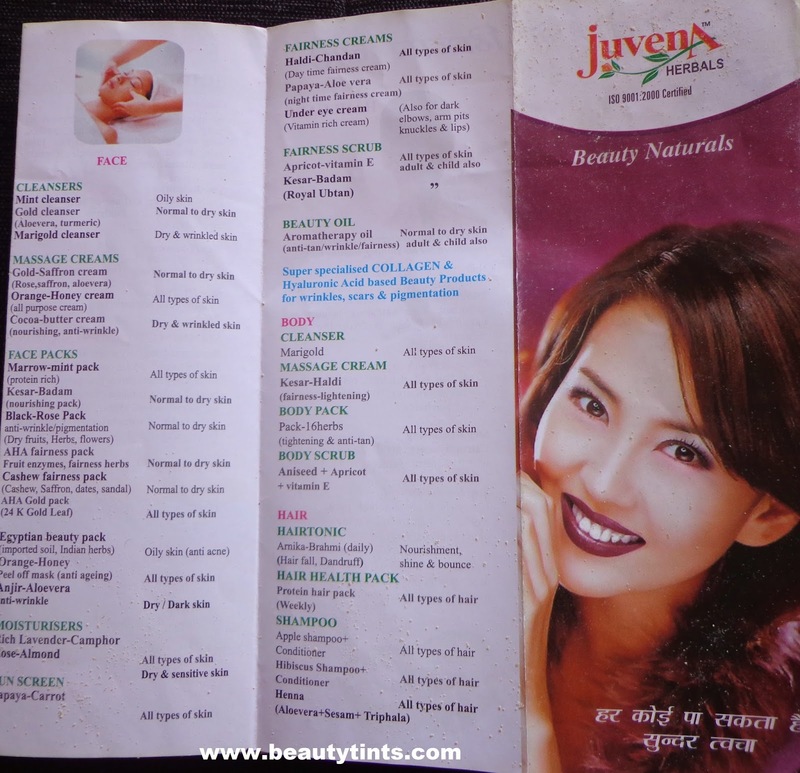 With moistened fingertips massage gently in upward and circular motion for 3-4 minutes. Wipe with moist cotton and wash off. 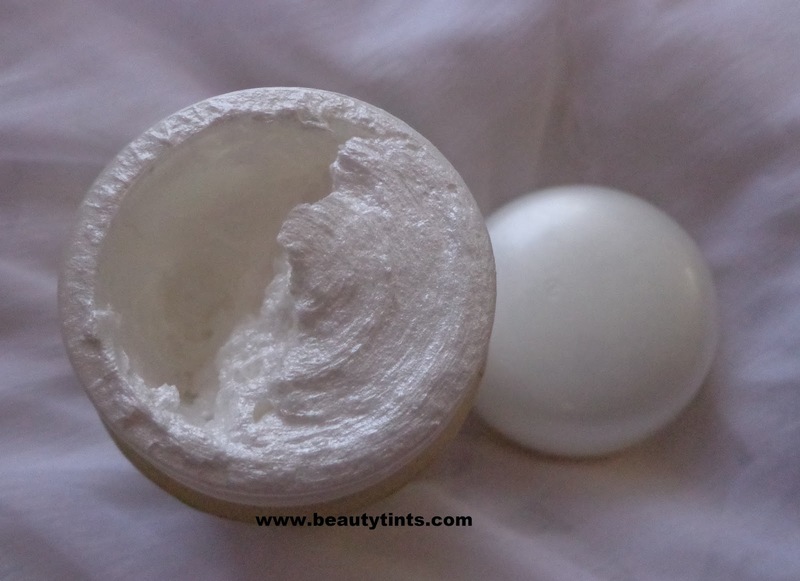 My View On the Product : I have been using it for more than 5 weeks for now and it worked really well for me.It is a soft cream kind of a cleanser, which has to be applied as dots on the face and to be massaged with wet fingers.I am super impressed from first use itself.It cleanses the skin very effectively removing all the dirt and grime from within,giving it a deep cleansing effect.It instantly makes skin clean and clear.It also gives a nice glow to the face and doesn't dry out the skin.It is enriched with the goodness of Mint,papaya ,dates,eucalyptus etc., and it gives an instant cooling sensation and relief to the irritated skin.This mint cleanser is exclusively made for oily and acne prone skin.It is very effective in reducing the breakouts to a great extent.It is all natural and paraben free. Final Conclusion about Juvena Herbals Reviva Mint Cleanser : I highly recommend it to those who have oily and acne prone skin as it controls oil on the face to a great extent!! !